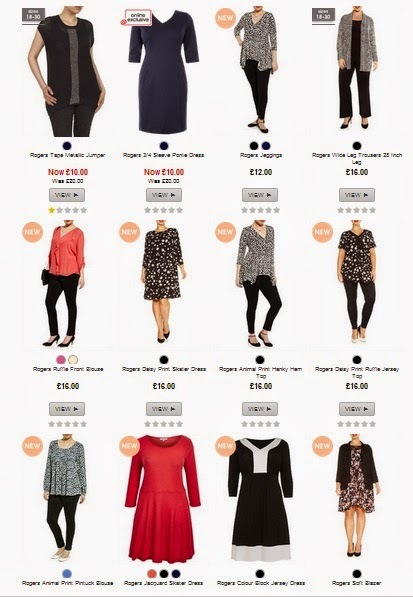 Earlier this year when Matalan announced that they were going to expand their plus size range, I was excited! Since then they have continued to add items to their range and I have to say I am constantly impressed. 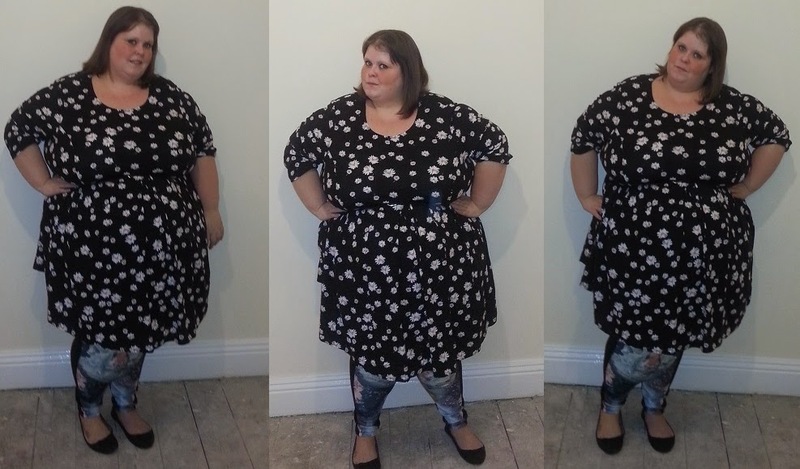 One of the nicest things about the Matalan plus size range is the fact that it goes up to a size 30 and personally I am pleased whenever I see a range that goes above a size 26! When you look at the Matalan range you'll see that there are some lovely going out items and a good mixture of basics, so there is something for everything. What's even better is that none of those items cost more than £25 and in fact the heart jumper is currently in the sale for £9 - bargain! 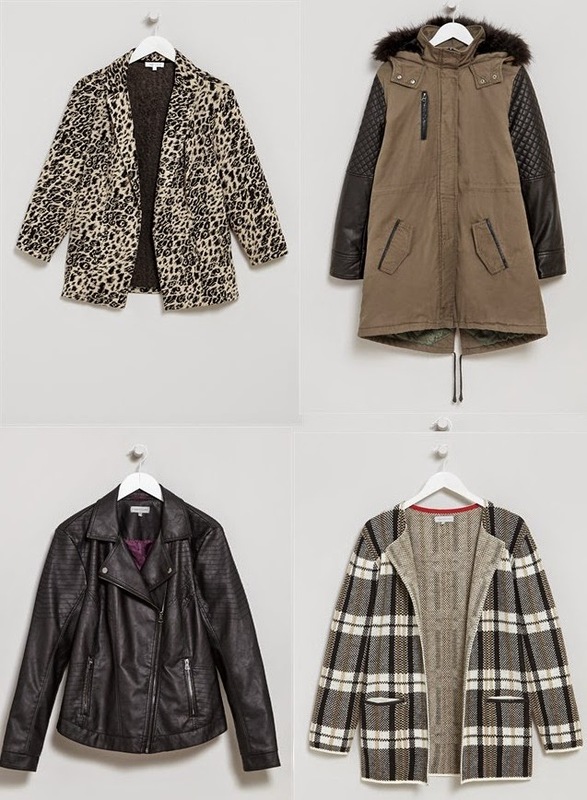 Seeing as winter is fast approaching I thought I'd better take a look at the coats and jackets they had and they actually have some amazing choices! 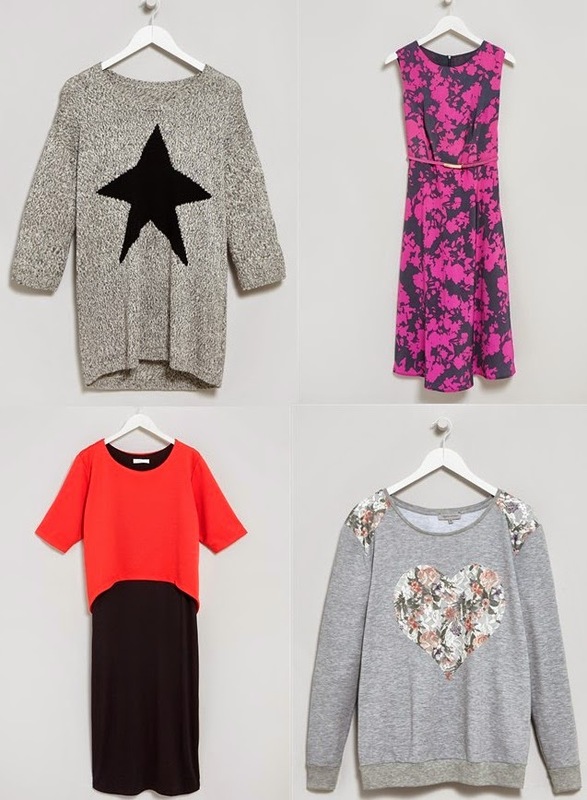 Have you bought anything from Matalan lately, what's caught your eye? 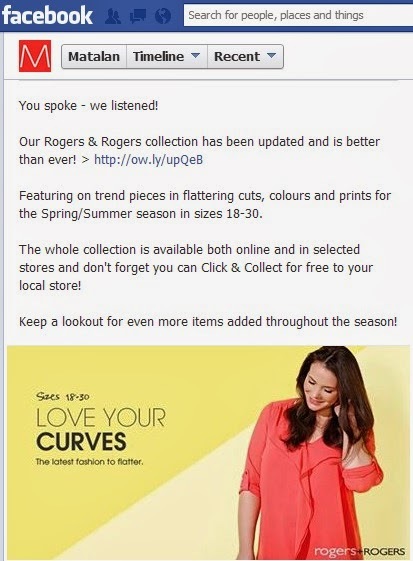 For quite a few years now Matalan have had the Rogers and Rogers collection, offering up to size 30 clothing. I am sure Matalan will forgive me for saying that up until now their collection hasn't really been saying much. I have bought the odd staple item from Matalan but nothing that really excites me! However, one thing that did catch my eye today was their exciting announcement on Facebook today. Of course, I immediately hot footed it over to the website and I was really impressed! They have loads of dresses, tops, jackets and more. 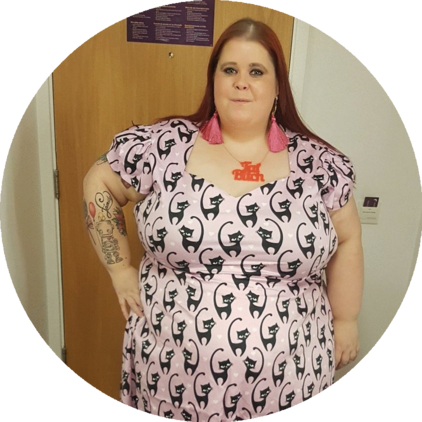 It's great to see fitted items, bright colours and another choice for plus size clothing - I can't wait to visit a store and see what the selection is like on the high street! 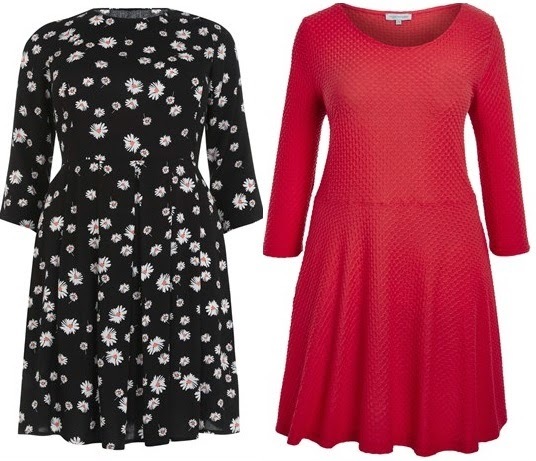 The two skater dresses immediately caught my eye and at just £16.00 each they seem like complete bargains. Have you tried anything from the new Rogers and Rogers collection? I want to hear all about it if you have!